Craig's practice concentrates primarily in the areas of commercial law, banking law, real property, and debtor/creditor relations, with special emphasis in bankruptcy. He is active in the representation of creditors, creditors' committees, and trustees in state court, federal court and bankruptcy court proceedings. He received his B.B.A. degree in finance from Idaho State University and his J.D. degree from the University of Idaho Law School. Mr. Christensen is admitted to and practices in both the States of Idaho and Utah. Mr. Christensen is a member of the Idaho State Bar, the Sixth District Bar Association, The American Bankruptcy Institute, the American Bar Association and the Idaho Trial Lawyers Association. He is also certified by the American Bankruptcy Board of Certification in Business Bankruptcy Law. 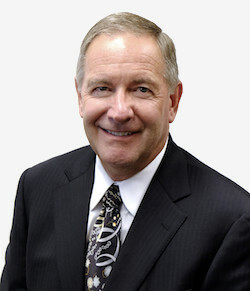 Mr. Christensen has served as President of the Sixth District Bar Association; as President of Portneuf Inn of Court; as Chairman of the Governing Board of the Bankruptcy Section of the Idaho State Bar; as Chairman of the Idaho Delegation of Lawyer Representatives to the Ninth Circuit; as a member of the Ninth Circuit Lawyer Representative Coordinating Committee; recipient of Commercial Law and Bankruptcy Court Professionalism Award; and recipient of the Idaho State Bar Sixth District Professionalism Award. He has been an instructor for the American Bankers Association, The Idaho Land Title Association, the Idaho State Bar and Law Foundation, and various other creditor and business associations on law and banking. He has served as a faculty member and author for numerous seminars on bankruptcy law and creditors' rights. Mr. Christensen has received the "Pre-eminent" and AV attorney rating through Martindale-Hubbell and has been selected to Mountain States Super Lawyers Business Edition. Chambers USA lists Mr. Christensen as one of the best lawyers in the state of Idaho. The American Registry selected Mr. Christensen as on of America's Most Honored Professionals.